Enables use of Level 5 Discount,Level 5 Overcharge, and Level 10 Steal. 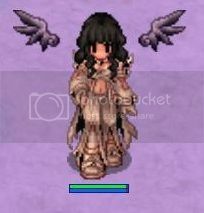 You get these cute little wings by trading 1,000 Mystic Coins (Item ID# 9148) to the Wing Master at mystic_shop 249 88. It's under Overstock Wings.